Cynthia Alvis Bolden, 66, of Amarillo, Texas went to be with her Lord on Wednesday, September 12, 2018. Cynthia Bolden was born on December 15, 1951, in Amarillo, Texas to Herbert and Patsy Gene Gaston Bolden. She graduated from Palo Duro High School in 1969 and obtained an Associate’s Degree in Substance Abuse Counseling from Amarillo College. She worked for Southwestern Bell Telephone Company for many years and was currently employed as a Customer Service Representative at Xcel Energy for 16 years. Cynthia was a lifelong member of Mount Zion Missionary Baptist Church where she served as an Usher and a member of the Culinary Committee. She was also an active member and President of the Best of Carver. Cynthia loved her family and friends. Cynthia is preceded in death by her parents. 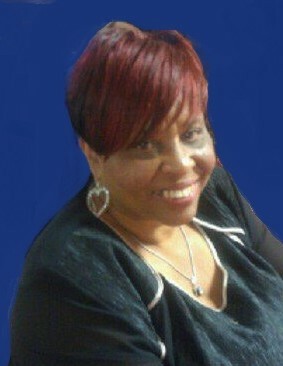 She is survived by her daughter, Chariss Bolden of Amarillo, Texas, two brothers, Hervey (Beverly) Bolden of Carrollton, Texas and David Bolden of Denver, Colorado, a sister, Elaine Pepper Peete of Jacksonville, Florida, three grandchildren, three great-grandchildren and a host of nieces, nephews and friends.